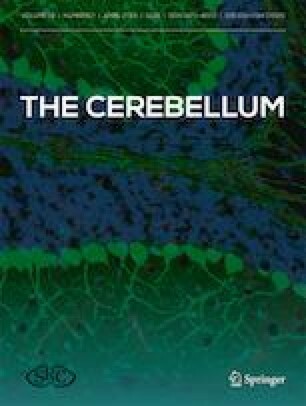 It is a clinical experience that acute lesions of the cerebellum induce pathological tremor, which tends to improve. However, quantitative characteristics, imaging correlates, and recovery of cerebellar tremor have not been systematically investigated. We studied the prevalence, quantitative parameters measured with biaxial accelerometry, and recovery of pathological tremor in 68 patients with lesions affecting the cerebellum. We also investigated the correlation between the occurrence and characteristics of tremor and lesion localization using 3D T1-weighted MRI images which were normalized and segmented according to a spatially unbiased atlas template for the cerebellum. Visual assessment detected pathological tremor in 19% while accelerometry in 47% of the patients. Tremor was present both in postural and intentional positions, but never at rest. 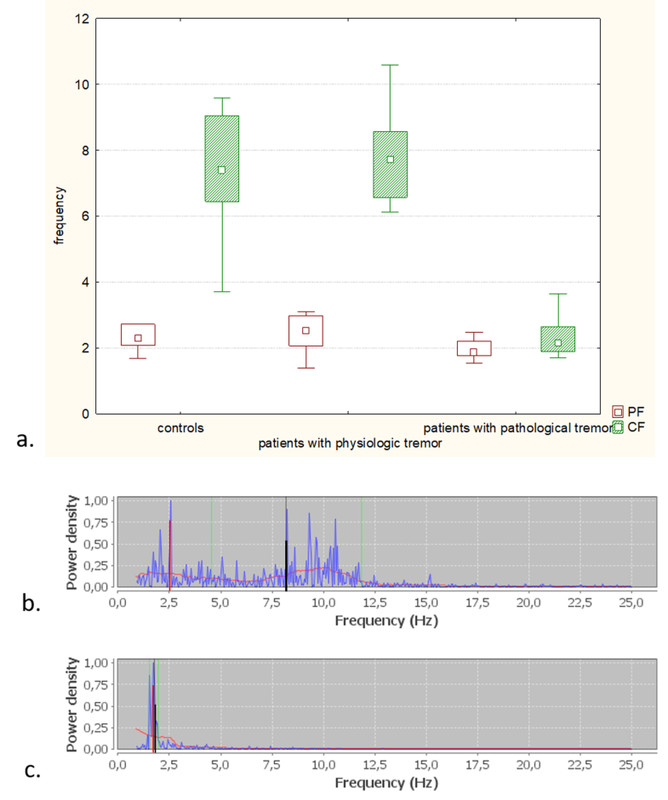 Two types of pathological tremor were distinguished: (1) low-frequency tremor in 36.76% of patients (center frequency 2.66 ± 1.17 Hz) and (2) normal frequency–high-intensity tremor in 10.29% (center frequency 8.79 ± 1.43 Hz). The size of the lesion did not correlate with the presence or severity of tremor. Involvement of the anterior lobe and lobule VI was related to high tremor intensity. In all followed up patients with acute cerebellar ischemia, the tremor completely recovered within 8 weeks. 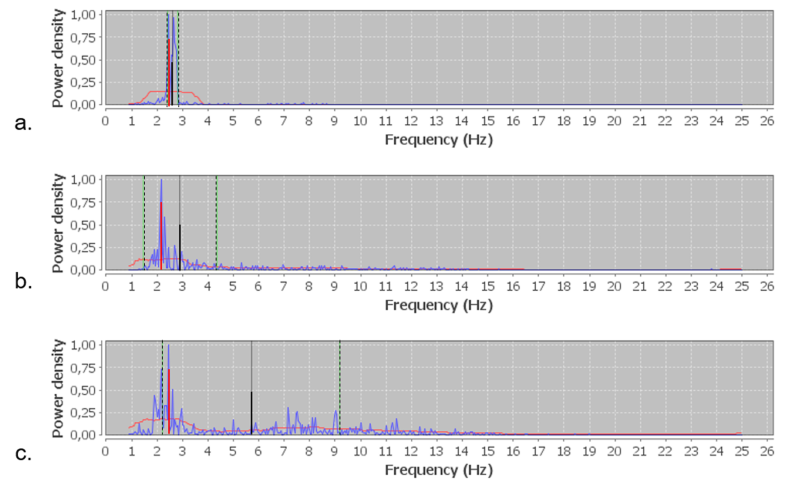 Our results indicate that cerebellar lesions might induce pathological postural and intentional tremor of 2–3 Hz frequency. Due to its low frequency and low amplitude, quantitative tremorometry is neccessary to properly identify it. There is no tight correlation between lesion localization and quantitative characteristics of cerebellar tremor. The online version of this article ( https://doi.org/10.1007/s12311-019-01027-3) contains supplementary material, which is available to authorized users. We are grateful to our patients and to our colleagues of the National Institute of Clinical Neurosciences who were involved in patient management. We aknowledge the contribution of Gréta Zaja to data processing. We thank Dr. András Horváth for his valuable comments on the manuscript. The study was approved by the local ethical committee of the Institute. Subjects’ informed consent was obtained according to the Declaration of Helsinki.